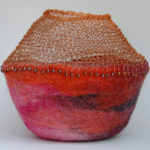 I began to work with textiles at an early age when I learned to sew from my mother. 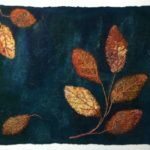 As an adult I have worked as a self-taught quilt artist for over twenty-five years. 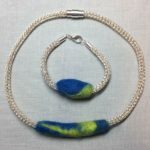 I began to incorporate other textile techniques into my art using wet felting as my main focus. 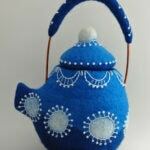 Weaving, crochet and even metalwork have found a place in my creations. 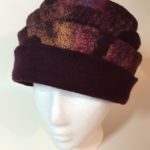 I now enjoy a more free form style using a wide range of fibers, textiles and embellishments. 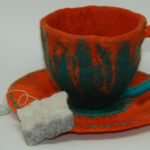 The tactile sense of felt making is what drew me to the medium of wool. 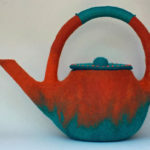 Since I began, my fascination has been with the 3D form, making vessels, teapots or hats. I explore these forms using various textures and colors inspired by what I see in the world around me. 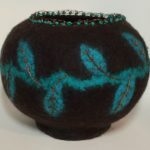 Embroidery and beads are added to embellish and add another layer of texture to the work. My pieces don’t necessarily tell a story or have a meaning. It is the process that I enjoy. 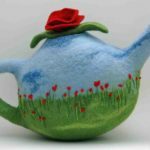 I am continually learning by taking workshops with nationally known instructors in various fiber arts. I have exhibited both locally and nationally and won many awards for my work. Many of my pieces are in private collections. 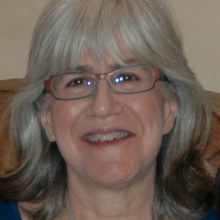 I am a member of the The Textile Study Group of New York and the Surface Design Association.